A director of operations makes sure a company's day-to-day activities go smoothly and designs parameters to assess efficiency. This role involves significant time evaluating daily activities and procedures and overseeing upper-level management. If applying for such a position, you need a cover letter that shows how you either have handled such a position in the past or are ready to take the next step in your career and assume those responsibilities for the first time. Generally, a director of operations is at the helm in managing all aspects of an organization’s operations to meet objectives for profitability while defining new initiatives for growth. Specifically, duties vary widely depending on the nature of the business. A director of operations may oversee varying sorts of government agencies, private organizations, or public companies. The heads of all departments report to the director of operations, so the director needs to have the knowledge and experience to be involved with everything from human resources to accounting to sales to marketing, and more. As well, a director of operations is in charge of hiring these department heads, so it is important to build a management structure where everyone's strengths and weaknesses complement each other efficiently. For example, a director of operations' background and expertise may be in marketing while he has significantly less experience with finances. In that case, such a director of operations may be able to involve himself more directly with marketing while making sure he hires people with strong financial backgrounds and skills to compensate for his weaknesses in that area. 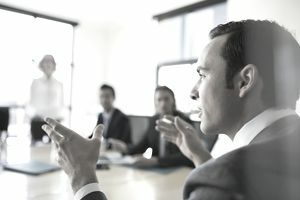 It's still important that a director delegates authority to department heads and trusts them to run their departments, but a director who knows when and where to step in is an excellent asset. While your resume will provide employers with information about your background, your cover letter is an opportunity to show them how you have applied the skills necessary for the position in question. While every situation is different, this sample cover letter provides a broad example of how to show an employer that you are a good candidate for their open position. This is a cover letter example for a director of operations position. Download the director of operations cover letter template (compatible with Google Docs and Word Online) or see below for more examples. I'm writing to express my interest in the director of operations position at XYZ Company. Ms. Jones, a manager at your business, is a former colleague, and she suggested that my skills and experiences would be an ideal match for the position. Your job listing indicates that you are seeking a candidate with superior attention to detail. For the past five years, I have successfully developed and maintained all data systems, including schedules and records for a business employing more than 100 people. Given my ability to manage a multitude of systems with great attention to detail, I earned an award for Most Valuable Administrative Staff Member this past year. I would love the opportunity to bring my skills as a detail-oriented leader to your business. I have enclosed my resume for your review and look forward to speaking with you about the position in person. Thank you for your time and consideration.